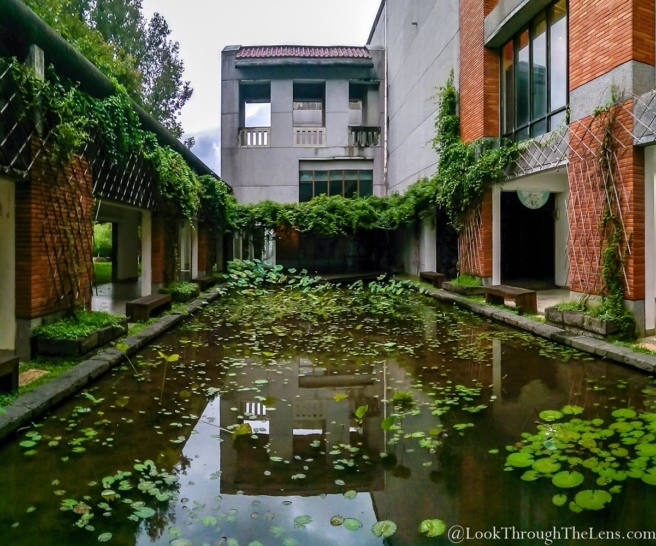 Panorama of two shots: TNUA Courtyard in Beitou – Look Through The Lens? Will you? Always seems challenging to do a panorama. This one is a composite of several shots, but I wasn’t happe with the lack of symmetry in the end result. I took the image because I liked the courtyard, and warm brick on the left/right. Somehow I wanted to capture a moment of reflection in the pool. I stitched this in Lightroom. I don’t think I managed to do much with the cloud on the left, except turn it into a murky gray. The reflection in the pool is much more nuanced. To me, it seemed like a moment of serenity between the rains and the return of students. It was shot on an HTC M8x model from about three years ago, and stitched in camera. But as my camera friend says, “I can’t see anything!” Do you see anything? As always with mobile phone shots, you have to ask yourself if spending hours working on a shot that is taken at less than impressive quality on a mobile phone is really going to be worth it in the end?